Chronic absence from preschool and elementary school -- defined here as missing at least 10% of the school year, regardless of whether or not the absences are excused -- is a key contributor to poorer educational outcomes of black males later in life. 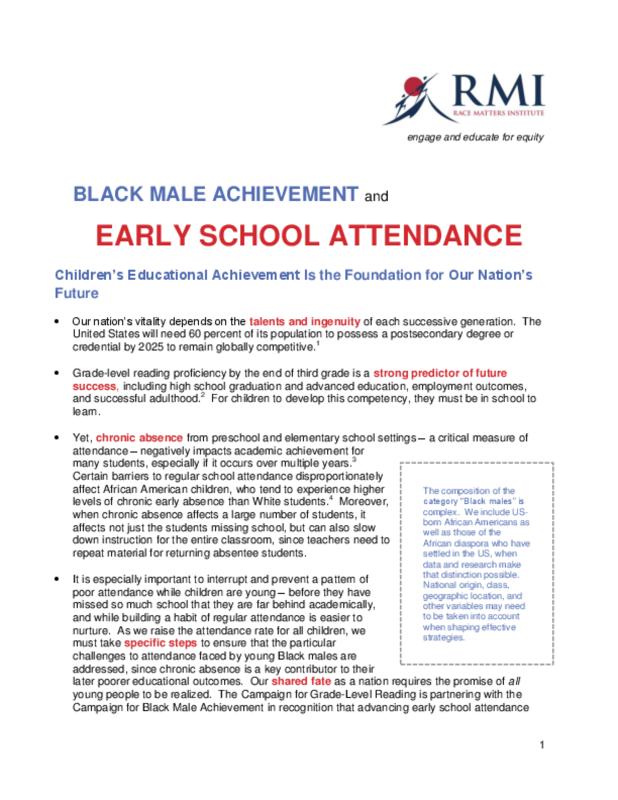 The Campaign for Grade-Level Reading has partnered with the Campaign for Black Male Achievement to produce a factsheet on this topic, as well as other resources. Copyright 2013 JustPartners, Inc., Race Matters Institute.